Labels can be applied on products or packaging fast and precisely. Mechanically, IXOR can be ideally integrated in fully automatic labeling machines by means of a modular construction kit – or it can be assembled to the conveyor belt of a production line by means of a wide range of accessorial stands. 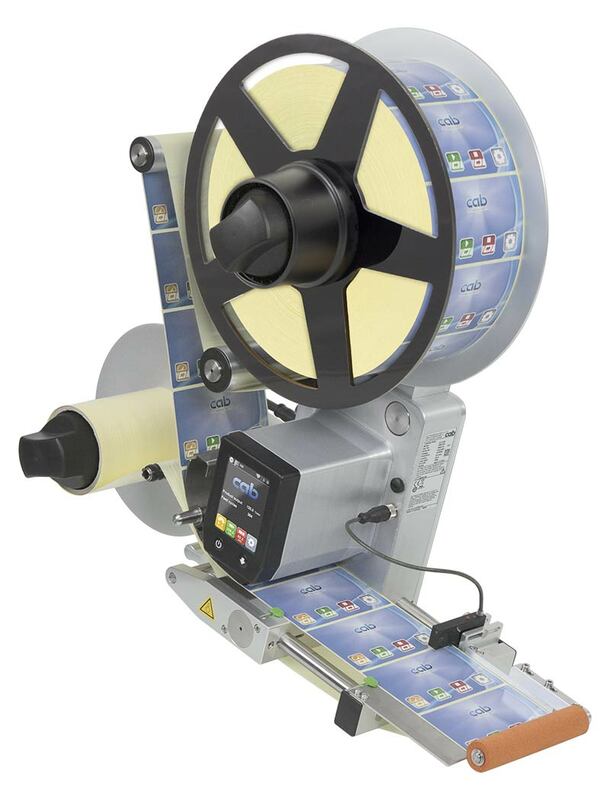 Thus, pre-printed labels can be applied on products or packaging fast and precisely. The control unit is integrated in the device, a separate control cabinet is not required. The base unit is provided in four widths, as left hand or right hand version. 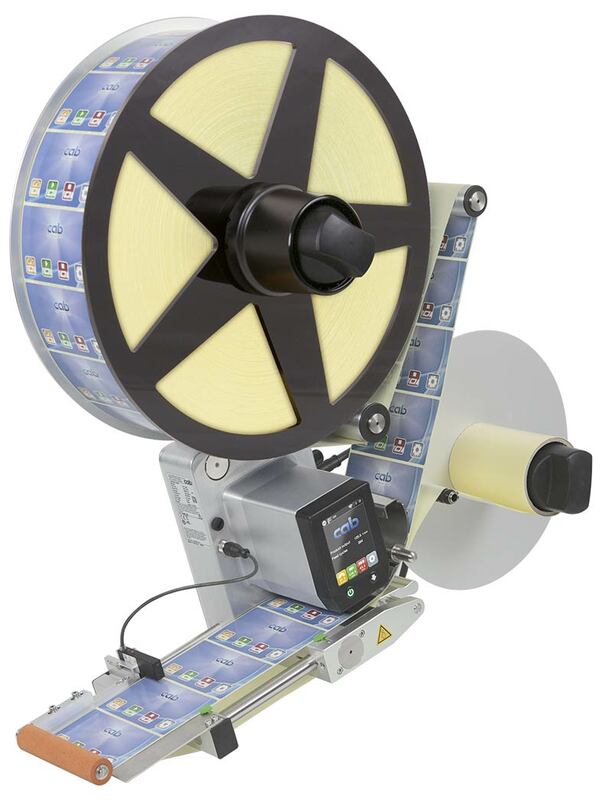 Unwinders enable processing of label rolls with 410 mm maximum outside diameter. IXOR is a key component for smart production. LAN and WLAN interfaces enable the labeling head to be connected to the superior control units of machines. MQTT ensures cross-platform and future-proof communication. Modbus, OPC-UA and Ethernet/IP are available on demand. Protocols are kept simple and lean, machine and plant data can be submitted event-driven. In case data values have changed, data updates are possible in real time. Remote operation with a smartphone, tablet or PC is possible at any time. The intuitive web interface allows backup, restore and updates. 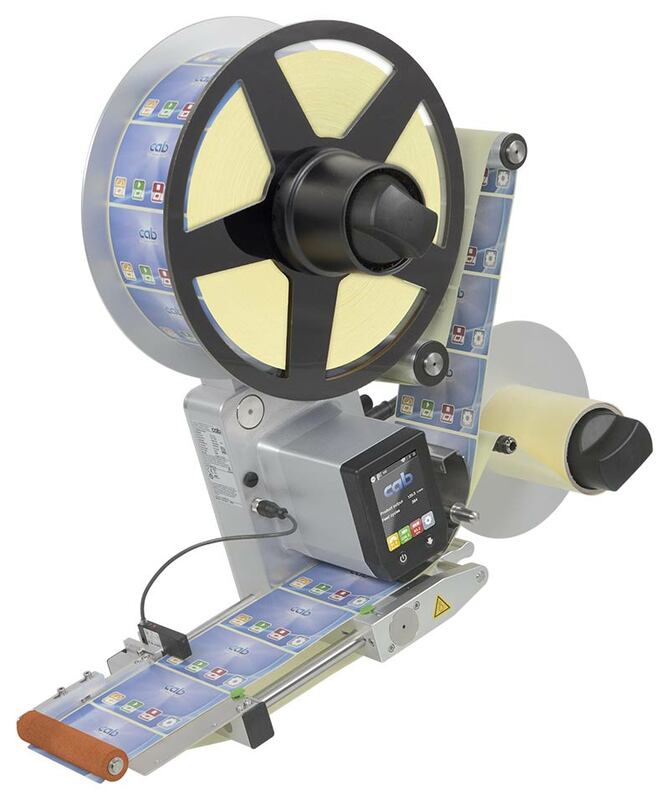 When self-adhesive labels are applied automatically, paper or plastic materials are in use depending on the requirement. The range includes particularly thin, transparent or metallized labels. The intelligent CEON label sensor on the labeling head supports reliable identification and precise positioning of all conventional label materials. to detect particularly thin or transparent label materials. to process label rolls up to 310 mm (optionally 410 mm) outside diameter. Constant label web tension is enabled by the swing lever and an integrated brake mechanism. 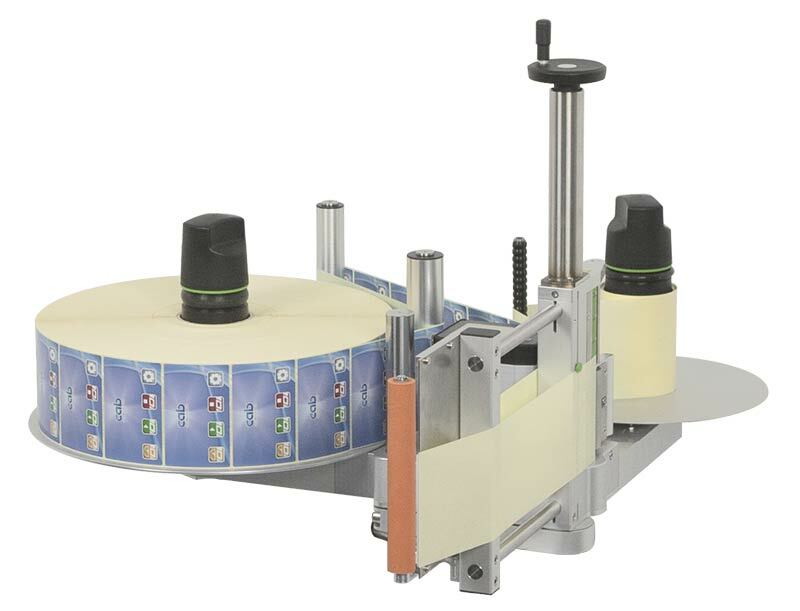 By turning the handle, the core of the label roll is tightened and loosened. made of cast aluminum. Basis to assemble all components. The chassis possesses protection class IP66, NEMA 250 type 12. Also included is the highly dynamic and high-torque servo motor drive unit. Customized configuration is possible by means of an extensive modular construction kit. Colored 3.5“ LCD touch display; In case of overhead assembly the display can be rotated by 180°. When all the labels have been dispensed, the liner tape is rewound. Constant liner tape tension after the drive roller is enabled by the swing lever and an intergrated coupling. More specific informationen to operation panel, software features and interfaces please see IXOR product catalog. The label size is further defined by the type of the applicator. Limitations may apply to small labels, thin materials or strong adhesives. These applications have to be tested in advance. Which accessories fit to which model you can see in overview all accessories IXOR product catalog. The length of the assembly rod depends on the situation of assembly. Light switch to trigger the start of the labeling as soon as the product has been detected; The standard scanning distance is up to 200 mm, in case of transparent products up to 80 mm. to be assembled on the base unit of the labeling head; either the protocol RS232 or RS485 is supported. to be used with unwinder diameter 310 mm and vertical labeling head assembly. The counterholder prevents the label web from unintentional slipping off the label roll. to be used with standard unwinders having a diameter of 410 mm and with motor-driven unwinders and vertical labeling head assembly. The counterholder prevents the label web from unintentional slipping off the label roll. to cover the mechanical port for rewinder connection on the base unit of the labeling head. It is needed when no mechanical rewinder is directly mounted on the base unit of the labeling head. It is assembled with the stand included in delivery. The device is not adjustable in x-axle direction. The labeling head is in x-axle direction adjustable by 200 mm transverse the direction of the label peel-off. In case of wipe-down labeling, the position of the label on the product can be varied transverse the direction the product moves. If no (A) pivoted retainer is assembled, the adjustable track increases by 26.5 mm. The labeling head is with a hand crank in x-axle direction precisely adjustable by 150 mm transverse the direction of the label peel-off. In case of wipe-down labeling, the position of the label on the product can be varied transverse the direction the product moves. to assemble the labeling head to a conveyor belt. The position is set via a hand crank. Primarily for labeling from the top. The mobile floor stand can be locked and adjusted on site via retaining feet. Preferred use is with applications in different production lines. Primarily for labeling from the side. The mobile floor stand can be locked and adjusted on site via retaining feet. Preferred use is with applications in different production lines.